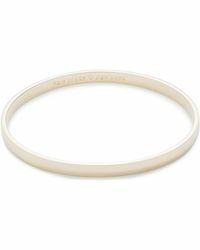 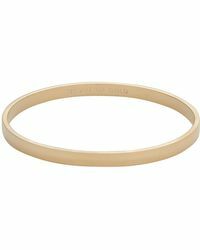 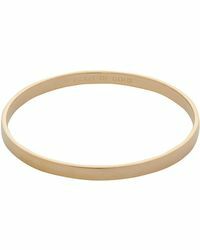 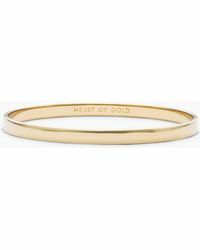 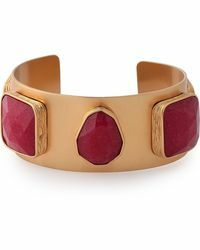 A Kate Spade gold bracelet is the perfect way to add the label's signature style into your look. 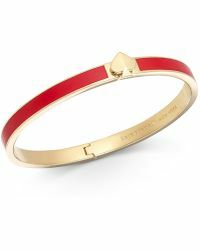 Known for its vibrant colour palette and lighthearted sophistication, Kate Spade's gold bracelet is a staple jewellery box addition. 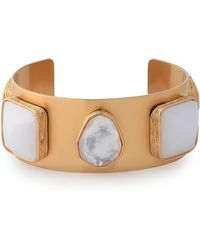 Offered in various forms, choose from a simple engraved bangle to a stone-encrusted bracelet, a sailor's knot design to a crystal-embellished cuff and hinge styles detailed with the brand's signature spade. 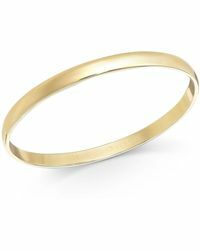 Plated in 12-karat gold, a Kate Spade bracelet will work with day and night looks.